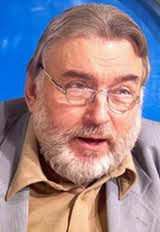 Adrian Paunescu was born on July 20, 1943 in Copaceni, Balti County, today part of the Republic of Moldova. 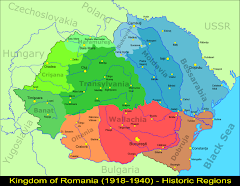 He has died at 7.15 this morning, on November 5, 2010, at the age of 67 in Bucharest and with his death, The Romanian people were left spiritually poorer. He was and will remain known as one of the most known Romanian contemporary poet, his verses being deeply engraved in the soul of the Romanians. He spent his childhood in Bârca, Dolj County and studied Philology at the University of Bucharest. He was very prolific poet and writer and during his life he helped many generations of young artists. He was founder of "The Flame Literary Circle / Cenaclul Flacara", "Still, the Love Literary Circle / Si totusi, iubirea" and in the last period "www.AdrianPaunescu.ro" - virtual newspaper for the new generations of poets and writers. He wrote more than 50 books in his life, some volume being: " Ultrafeelings / Ultrasentimente" "Death's post cards/ Cartile postale ale mortii" "I'm a free man / Sunt un om liber" " The book of the poetry books/ Cartea cartilor de poezie" " Prayer for parents / Ruga pentru parinti" "Still alive / Inca viu". We can not defeat the death, rest and have a good journey to Heaven! Your lyrics will be a Romanian torch forever. It is very sad indeed that he passed away. As many of his poems became popular songs, I remember dancing between the seats at his shows. He was a great literary talent and a very progressive mind. I am saddened by this loss for the Romanian culture. I hope that other Romanian poets will take up the torch of talent, creativity and social activism. Thank you for your article. Really appreciate it.